Lansdowne U20’s are the current JP Fanagan Premier 1 League Champions for 2017/18. We successfully defended our 2016/17 title when we were undefeated in the league. We are very proud of our under 20’s structures; led by Ireland’s most successful under 20’s coach Declan Fassbender, whose knowledge and attention to detail are second to none. Ben Armstrong, our big Aussie is assistant & forwards coach, brings great knowledge and enthusiasm to the role. Off the field, Mark McMahon Director of Under 20’s Rugby keeps everything moving as it should be in an efficient manner. Lansdowne under 20’s rugby under different guises, such as 19’s & 21’s, has been around for nearly 30 years and was set up as a comprehensive player development programme, firstly to supplement the senior team and more recently to also develop young players for the professional game. Lansdowne FC aims to identify and develop potential club, provincial and international players who will be equipped with the knowledge, skills and competencies required to succeed in both the amateur and professional era, both on and off the pitch. Lansdowne FC is a traditional but still very progressive club with a proven history and culture of creating a quality environment for players where the foundations are laid to prepare players for a life in professional rugby but also for a career outside of rugby. To Nurture and Develop the Characteristics and Skills Necessary in the Pursuit of High Performance Rugby through the Provision of a Professionally Structured Programme of Fitness, Rugby, Mental and Personal Skills. While the aim of Lansdowne 20’s is to fast- track players to senior AIL, under 19/20 interprovincial/ international representative levels as well as senior interprovincial development level, and beyond, our structure creates an environment conducive to the development of a career that will extend beyond rugby. 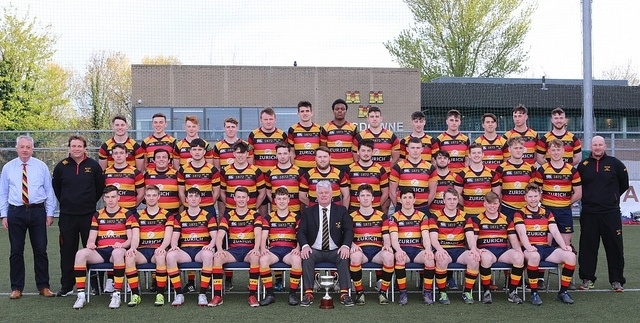 Lansdowne 20’s, similar to the IRFU Provincial Academies, has an elite player development programme and is closely aligned to the IRFU elite provincial programmes. The programme is structured to enable the player to maximise his potential and the strategy is designed so that players realise their full potential. At Lansdowne FC we not only want to develop the elite professional but we want and encourage club players to achieve their maximum goals on and off thee pitch and to be a Lansdowne member for life. If you want to be part of one of the best under 20 set ups in the country and want a competitive and enjoyable place to play rugby then send us an email ASAP (to elaynepower@lansdownerugby.com) as we would love to have you involved.